The account of the two witnesses in Revelation 11 has been the subject of much intrigue over the years. Popular theologians have attempted to identify them with two individuals--perhaps Moses and Elijah. 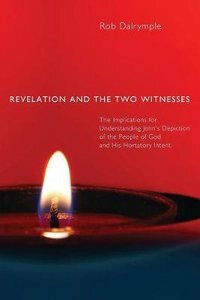 In Revelation and the Two Witnesses, Rob Dalrymple offers a thorough exegesis of Revelation 11 and concludes that the account of the two witnesses is the primary account in Revelation that depicts the people of God. Who are they? What is their commission? What was John's message to seven churches and to us? Whoever they are, we know this: they have a commission, they will suffer for it, and, in the end, they are resurrected! About "Revelation and the Two Witnesses"